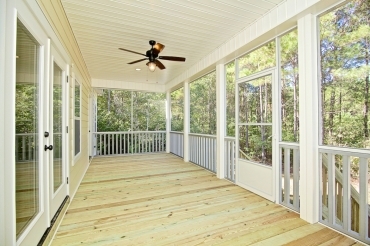 Porches, decks and patios are some of the favorite places to gather friends and family around your home. However, at any time you can be inconvenienced by the wind, rain, heat or cold.An outdoor paradise to enjoy all season long is possible, and that is where we come in. 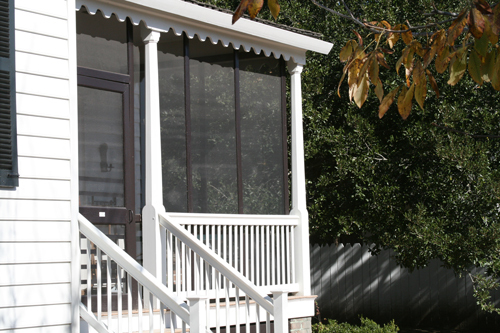 Whether you wish for a screen porch or sunroom, we have a porch solution that fits your needs. 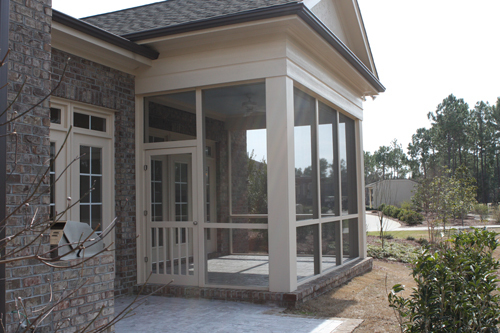 Carolina Custom Exterior offers the popular Eze-Breeze® screen room that can be closed up or opened all the way. 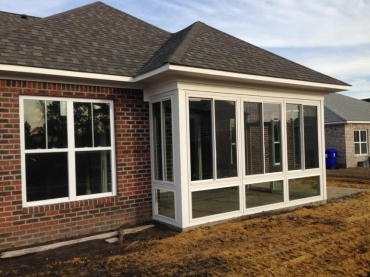 Now, an existing screen porch can be enclosed in as little as one day, with customized windows and framing that fit perfectly into your existing structure and maintain or enhance the architectural aesthetics of your home. 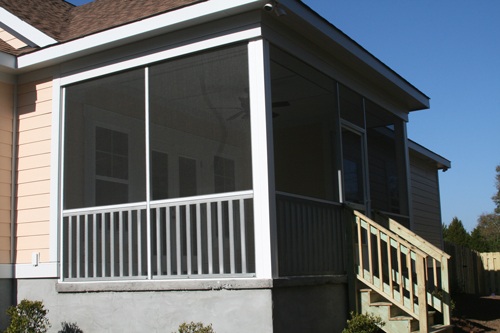 The Eze-Breeze® Screen and Sliding Panel System maintains the screen porch feel, allowing over 70% ventilation when the weather and elements are nice; and also allows you to close the porch up into a sunroom when you need to. In this system, each vinyl window is shatterproof. The poly-vinyl window is a memory window. You can stretch it up to one foot and it will return to its natural state within seconds.It is hugely popular on golf courses! We also off an all-glass option using Energy star glass, which also has a great deal of flexibility for closing and opening windows.